It was this summer that we saw the walnuts growing in the hills. It was a huge tree laden with walnuts. 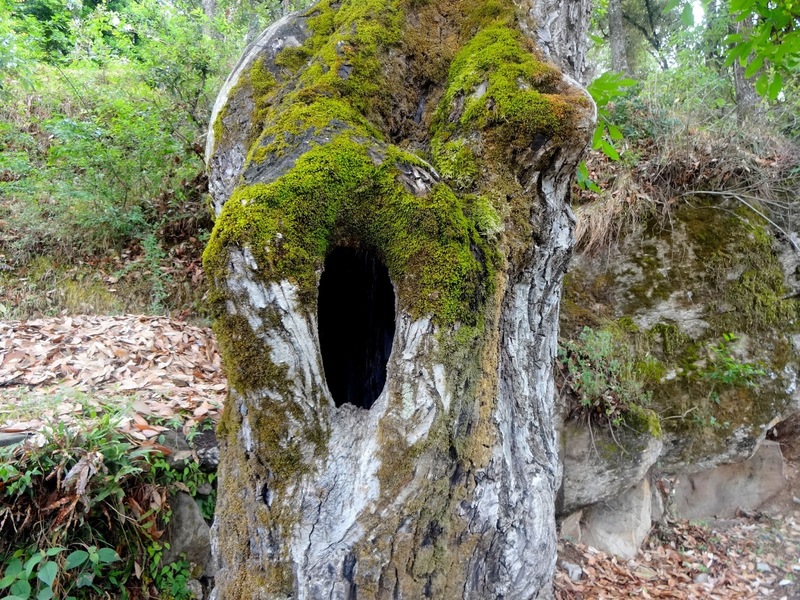 The trunk had a massive hole. We peeped in. It was cold and dark… a bit eerie and scary. We wondered who lived there. 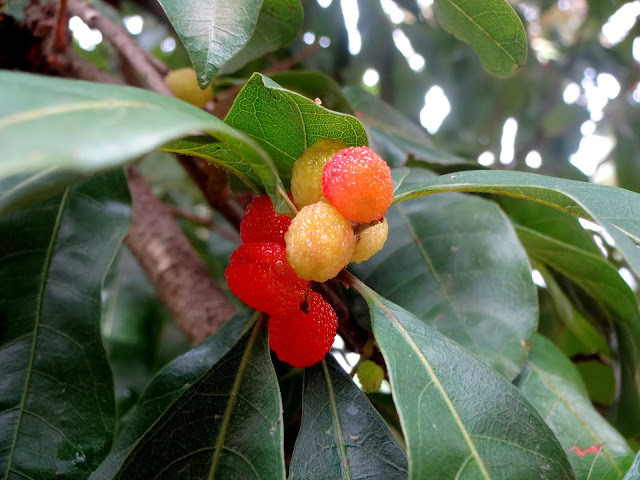 There were a lot of bayberry trees laden with ripe red juicy berries. We plucked to our heart’s content and sat under the walnut tree to enjoy the sweet fruits. 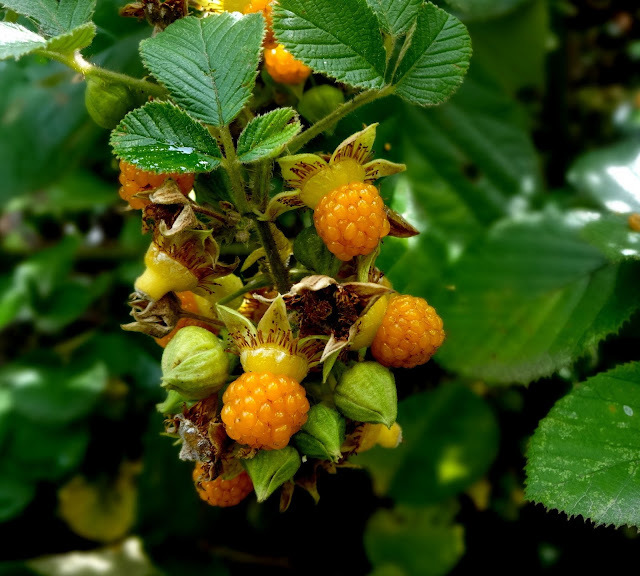 All around the hilltop, there were Hisalu( Rubus ellipticus ) trees laden with golden juicy fruits. We feasted on the local berries and quenched thirst from a nearby spring. It was autumn when another trip to the hills happened. 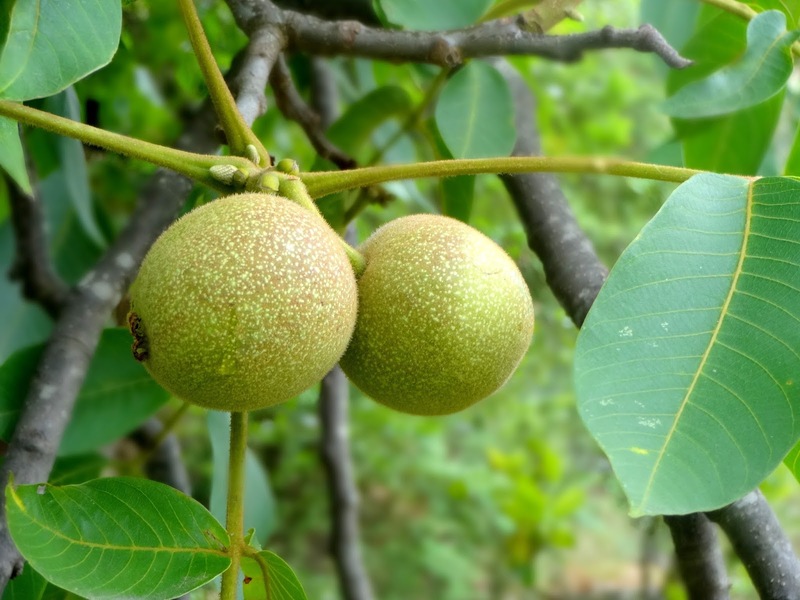 The walnuts were now ripe and had arrived in the market. Fresh walnuts are sweet and milky. There were chestnuts too. We purchased the local produce and the same weekend tried experimenting with chestnuts in baking. A batch of Chestnut Walnut Brownies was baked. 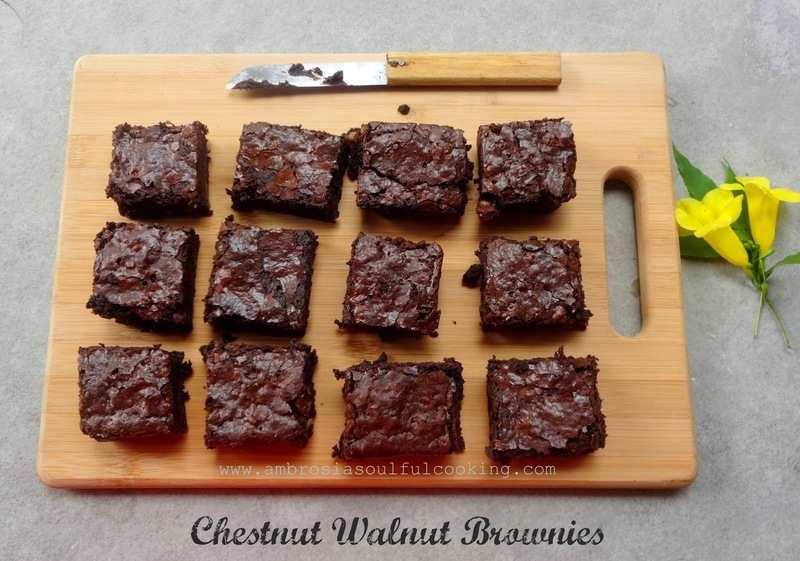 Chestnut Walnut Brownies have the freshness and earthiness of the hills. 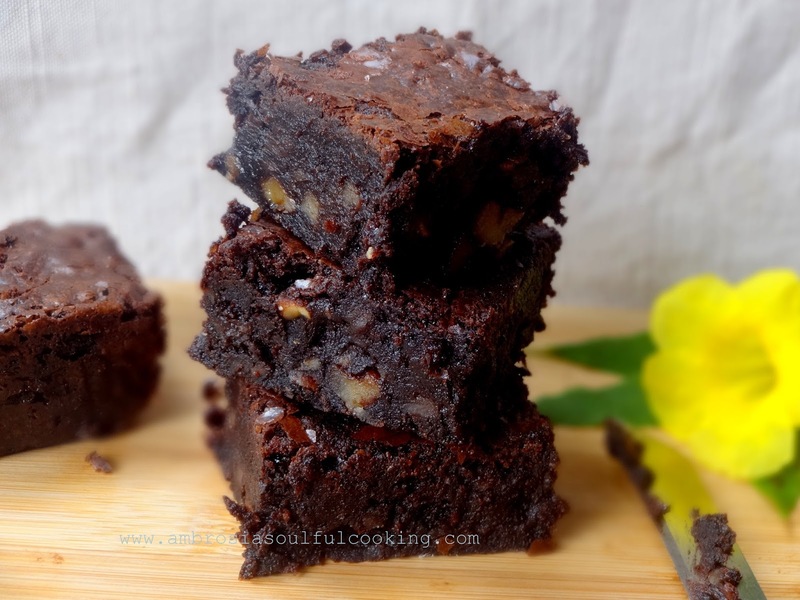 These are gooey, chocolaty, divine and gluten free. Walnuts add great crunch and taste. 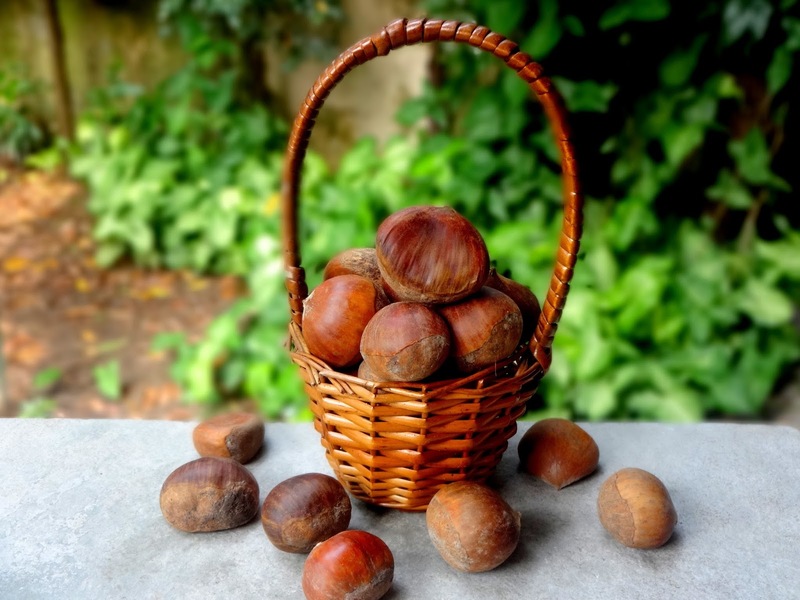 Take chestnuts in a pressure cooker. Add water just enough to cover the chestnuts. Cook for two whistles. When cold, remove the nuts and puree in a blender to get a creamy paste. Measure ½ cup. Preheat oven to 175 degrees C. Grease and line the bottom of one 7x7 inch cake pan with parchment paper extending over the sides like handles. Melt butter on low flame. Add chocolate. Turn off the heat. Stir until chocolate melts. Add sugar. Leave to cool. Add eggs, one at a time beating well after each addition. Add Chestnut puree. Stir to mix well. Fold in walnuts. Pour into the prepared pan. Bake for 45 to 50 minutes or till the top is firm to touch and a toothpick inserted in the center comes out clean. Remove from the oven after 10 minutes. Remove from the pan by gently pulling up the parchment sheet. Did i ever tell you - i desperately want to be your friend and travel to all places you go to, eat the food you eat and the food you cook! truly... this does not even seem to be on the same planet..
Sure, we can be friends. Whenever you happen to come on this side of the world, get in touch with me. It would be great meeting you. Thank you for your kind words.